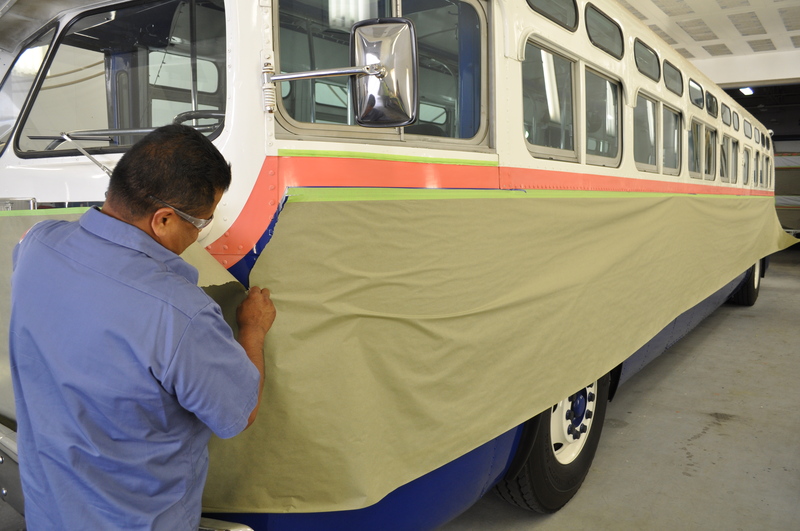 The super secret new logo and color scheme have been kept under tight wraps here at Omnitrans, so we’re all pretty excited to see how the buses are actually going to look. We thought we’d give you a peek inside the bus bays to see what’s going on. Click photos for enlarged views. It took about 15 hours just to do the sanding prep on Old Blue. 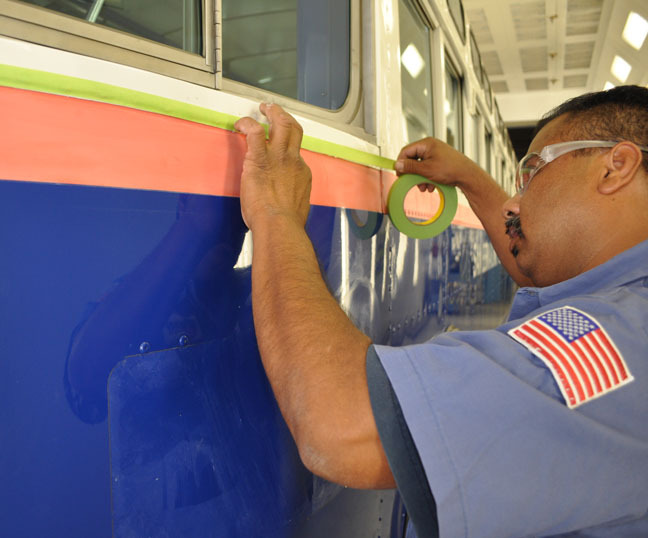 Here Angel tapes off the bus for painting. Old Blue is actually getting a mini-makeover and not the full treatment. Just the peach colored strip and old logo will change. The first of our New Flyer Xcelsior buses have arrived and are ready for painting. Gorgeous, right? 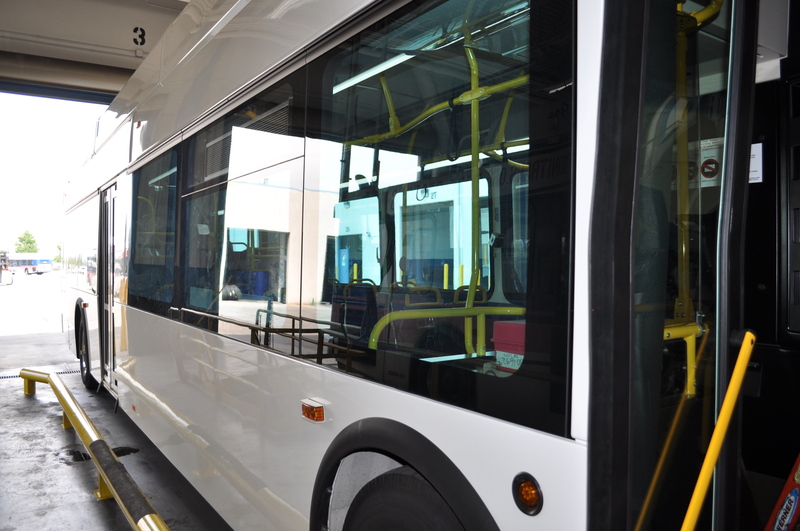 These new buses will feature triple bike racks to better accommodate our cyclist riders. 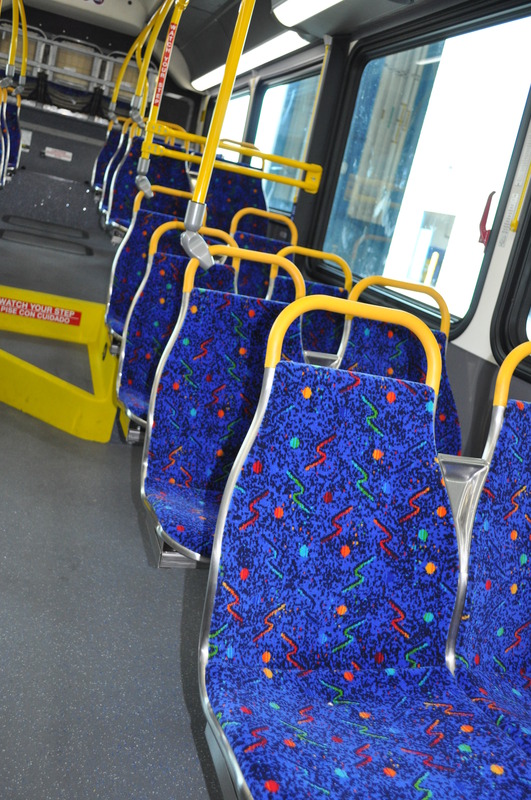 Here’s a view inside the New Flyer Xcelsior bus–love that new bus smell! The interior has the same number of seats and the same space at our current buses. 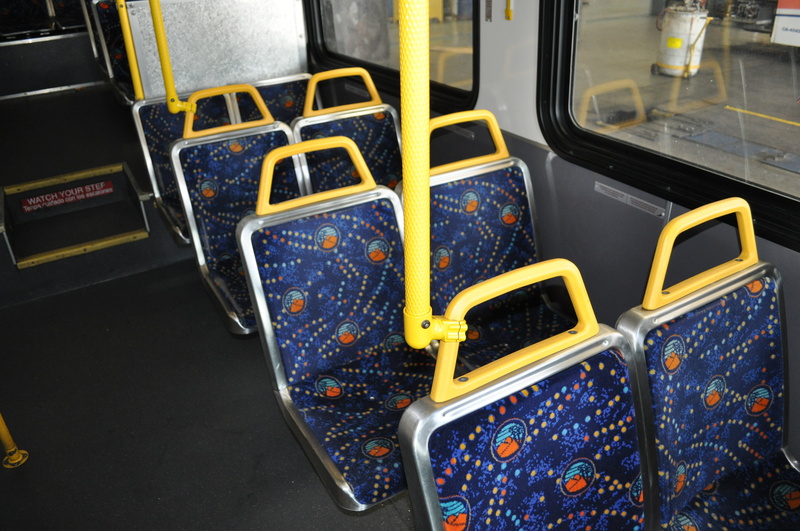 The old logo fabric you see on these seats from one of our current buses is being phased out. 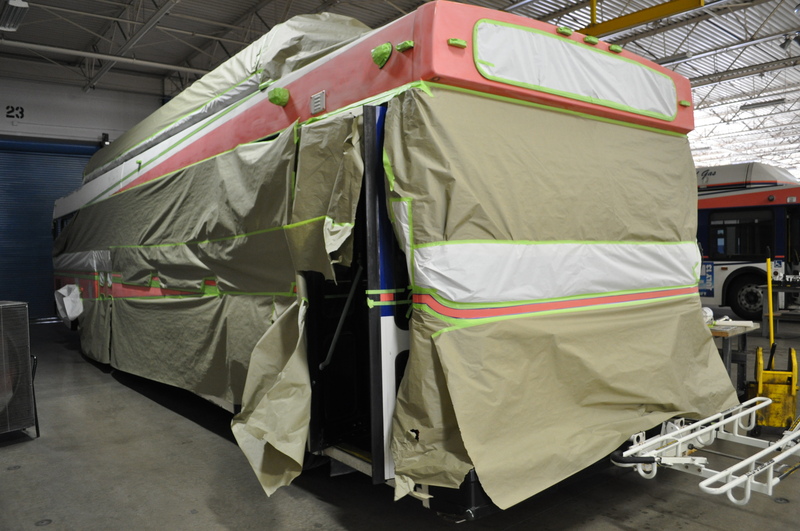 One of the current buses in our fleet is prepped and awaiting its makeover. It looks very mysterious with all that tape and paper. So what’s the new look actually going to be? You’ll have to wait until August 15th to find out. Stay tuned! This entry was posted in Omnitrans rebrand and tagged New Flyer Xcelsior buses, omnitrans bus, omnitrans new buses, omnitrans new logo, omnitrans news, omnitrans paint bus, omnitrans public transit, san bernardino bus. Bookmark the permalink. I won’t be able to recognixe 215!